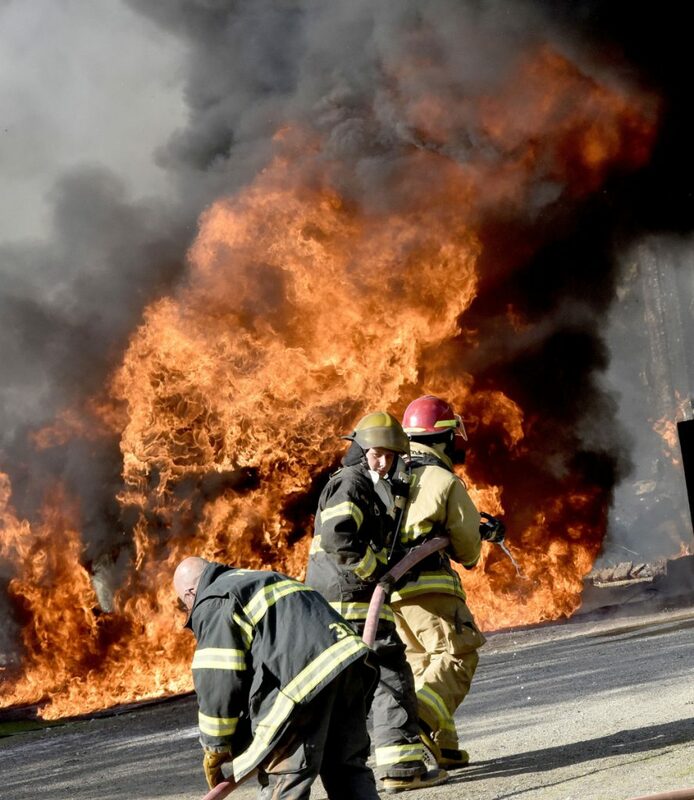 Firefighters from at least nine departments arrived to tackle the blaze, which also destroyed four vehicles and spread into the nearby woods. 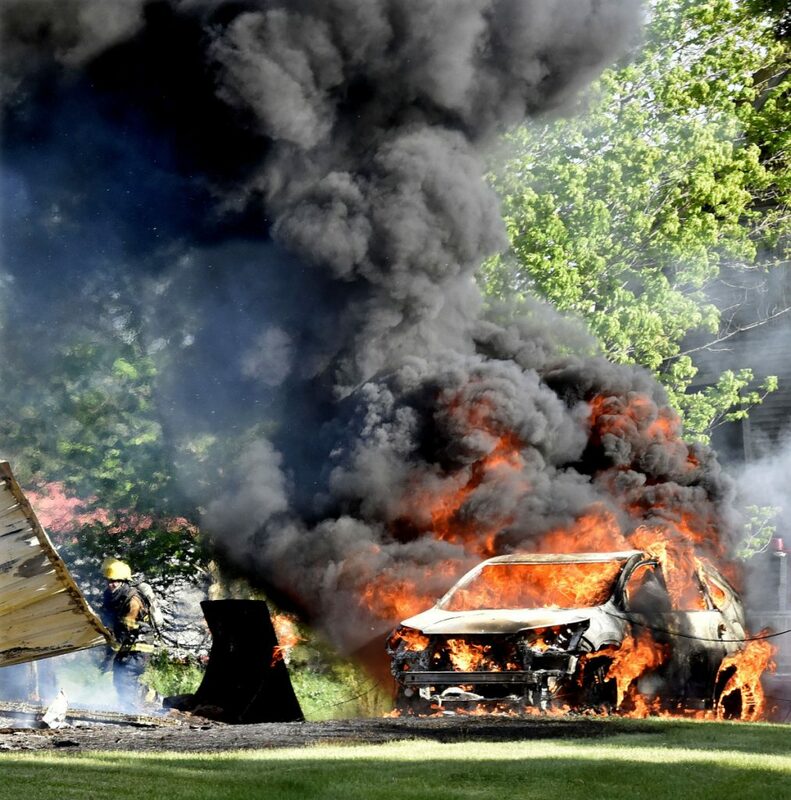 THORNDIKE — A fast-moving fire Monday night destroyed a two-story house on Depot Street, leaving five adults homeless, destroying four vehicles parked in the driveway and damaging a nearby garage. 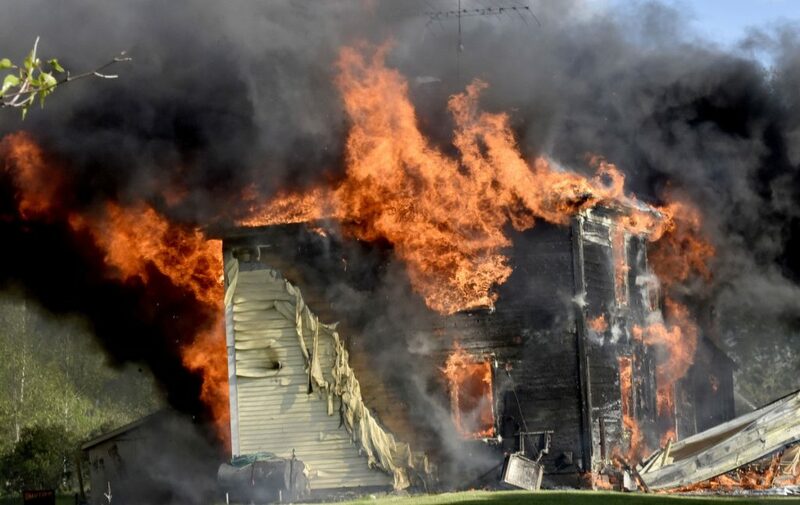 Thorndike Assistant Fire Chief George Russell said that judging by what people living in the home said, it appeared the fire started on a porch or deck. “Nobody was hurt. Everybody got out,” Russell said. 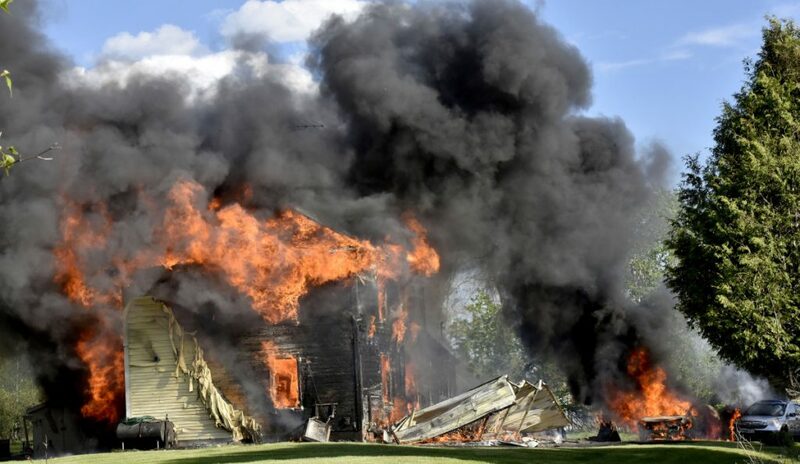 The cause of the fire, reported at 5:10 pm, had not been determined by about 7:30 p.m. and Russell said the state fire marshal’s office had been called, but he did not know if investigators would be coming to the scene. About 60 firefighters from nearly a dozen towns went to the fire scene, where many area residents stood on lawns or sat in chairs, watching the firefighters work. The people who lived in the home were in the house when the fire broke out, Russell said. They declined to talk to the news media. Russel said he did not know the names of the people who lived in the house. An excavator cleans up debris from a house that was destroyed by fire on Monday in Thorndike. At the scene, the charred shell of the house smoldered as firefighters worked to contain fire in the garage. The fire also spread to a back lawn and went into the woods, Russell said. Because there are no fire hydrants, firefighters had to haul water from fire ponds. The American Red Cross was called to help the people displaced by the fire, Russell said. He said when firefighters arrived at the scene, the house was fully engulfed in flames. A neighbor called 911 to report it. Fire squads responding came from Thorndike, Unity, Montville, Burnham, Troy, Freedom, Brooks, Liberty and Jackson. Unity Ambulance also was on the scene. Departments in Albion, Detroit, Washington and Searsmont were among those that covered for responding stations. “We’re very grateful for their help,” Russell said.